Service at 9:30. Congregational Meeting at 11:15. 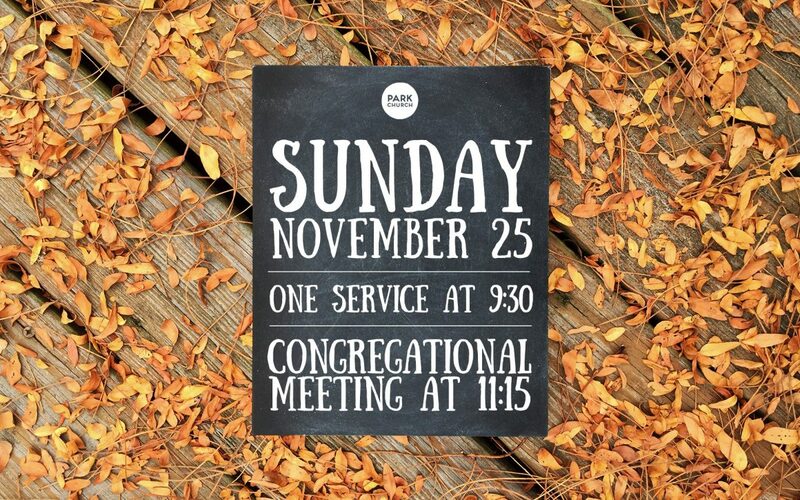 On Sunday November 25, we’ll be holding one worship service at 9:30, followed by bagels/brunch and a Congregational Meeting at 11:15. We’ll discuss the 2019 budget and provide some other exciting updates. All are invited.